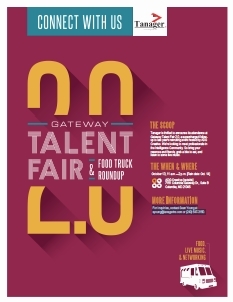 Tanager is thrilled to announce its attendance at Gateway Talent Fair 2.0, a supercharged followup to last year’s recruiting event hosted by ADG Creative. We’re looking to meet professionals in the Intelligence Community. So bring your resumes and friends, grab a bite to eat, and listen to some live music.